Shaun Athol Johnson is the founding Executive Director of The Mandela Rhodes Foundation in Cape Town, which is dedicated to building leadership excellence in Africa. He also served as Chief Executive of the Nelson Mandela Foundation in Johannesburg. Shaun was associated with Nelson Mandela for 23 years. A renowned anti-apartheid journalist, he wrote the feasibility study for the New Nation newspaper in 1981, and was one of the early members of the Weekly Mail team (now the Mail & Guardian). He was Deputy Editor and Political Editor of the Johannesburg Star during South Africa’s transition to democracy, and went on to edit several newspapers including the Cape Argus and Saturday Star. He was founding Editor of The Sunday Independent in 1995. In 2003 he was appointed Deputy Chief Executive of Independent News & Media South Africa, the post he held prior to his current position. 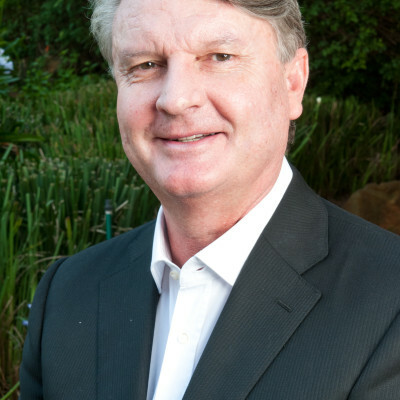 He is Chairman of the Rhodes Scholarships South Africa Advisory Committee, a member of the Board of Governors of Rhodes University, and was Chairman of the Council of St Cyprian’s School for several years. He was a long-serving member of Independent News & Media plc’s International Advisory Board, Chairman of the Cape Town Partnership, and a Trustee of various charitable organisations. An international award-winning author, in 1994 he published Strange Days Indeed, the bestselling book on South Africa’s transition, which was introduced by Nelson Mandela. In 2007 his first novel, The Native Commissioner, published by Penguin books, won the Commonwealth Writers’ Prize for Best Book in Africa, the MNet Literary Award, and the Nielsen Booksellers’ Choice Book of the Year. The Native Commissioner received endorsements from Nobel Laureates JM Coetzee and Nadine Gordimer. The novel was prescribed as a setwork by the Independent Examinations Board in South Africa. Shaun spent his early years in the Transkei, a rural area of South Africa, and was later educated at Hyde Park High School in Johannesburg, Rhodes University in Grahamstown, and at the University of Oxford, where he was a Rhodes Scholar (South-Africa-At-Large, 1982). He won academic and sporting awards at both universities, but did not complete his doctorate. In 2004 he was awarded the Centenary Old Rhodian Award by Rhodes University. Shaun, 57, has lived in Cape Town since 1996 with his wife Stefania. They have a daughter, Luna, who is 17 years old.